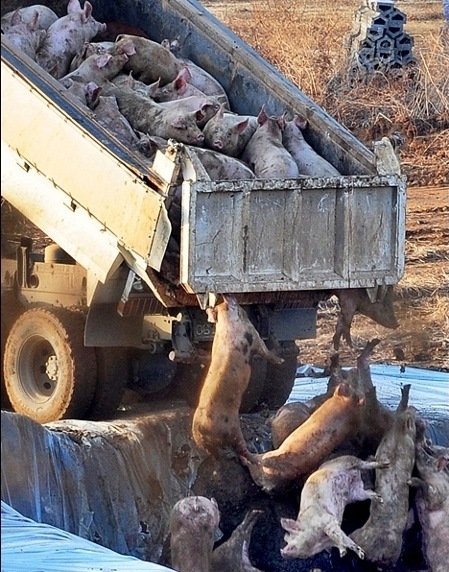 Why is animal cruelty in February 2014 still front-page news in South Korea? Unbelievable but true: South Korea still thinks that there’s no other solution than dispose infected poultry by dumping them in deep holes and burry the chickens alive without stunning or culling them first. Yesterday it was in the Korean news that Korea still uses the method of mass burial of chickens. Despite that this is absolutely unnecessary. 10 years ago, I started to develop the Anoxia method, a culling method that is cheap and 100% effective, without unnecessary human intervention and without any unnecessary stress or pain for the animal. The technique has been tested and approved and is today the most welfare friendly culling technique available. It is since 2013 on the market and commercially available.